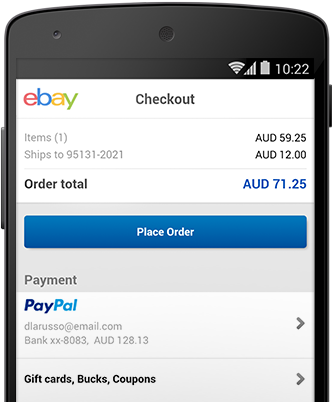 Accepting PayPal for your eBay listings can help attract more buyers around the world. eBay can be a standalone business solution, or you can use it to supplement your website or in-store offerings. Sign up for a PayPal business account and create a seller account on eBay. Link your PayPal account to your eBay account. Create your first listing, choose to accept PayPal payments and start selling. Set up an eBay Store. Display all your listings in one location. Access marketing and reporting features to build, manage, promote and track your business. PayPal Seller Protection safeguards your eligible eBay sales against claims, chargebacks and reversals for unauthorised payments and items not received. What do I need to do to sell on eBay? What should I look out for before listing an item? Before you list an item, look for similar products recently sold on eBay to help you select the best category and price, or learn your item’s potential value.